Show off your love of JLF! We have designed a JLF shirt in three different shirt styles. 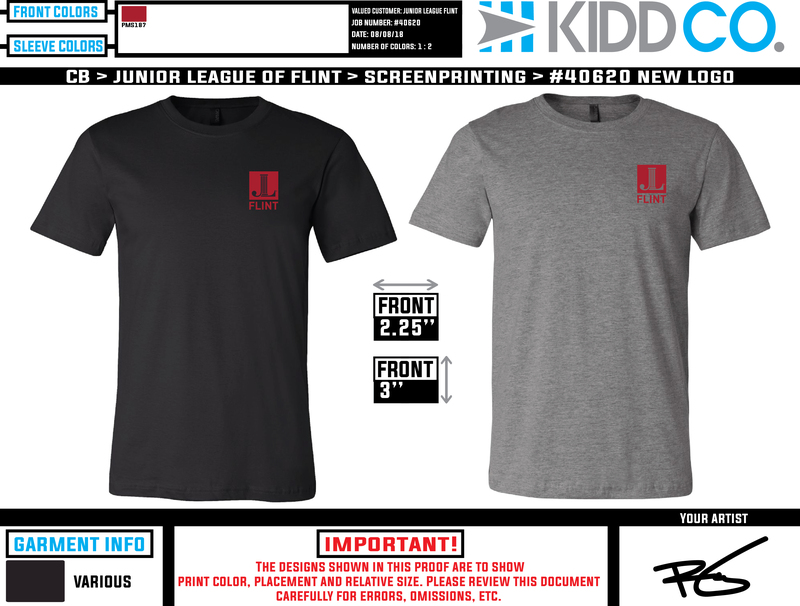 All styles will have the updated JLF logo on the left chest and "Not. Just. Any. Volunteer. 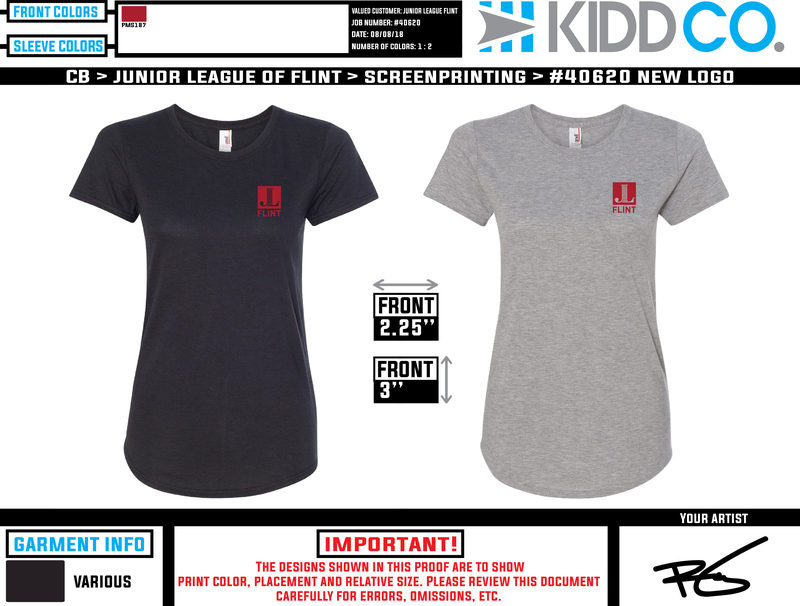 The Junior League." on the back. See below for examples. Depending on style and size shirts range from $14.50 to $18.35 and include the service fee. To keep within the AJLI brand standards, you can pick a black shirt or a gray shirt. Orders placed by 3pm Tuesday, October 9, 2018 will be ready for pickup at the November 13 meeting. Click to order and pay for your shirt. 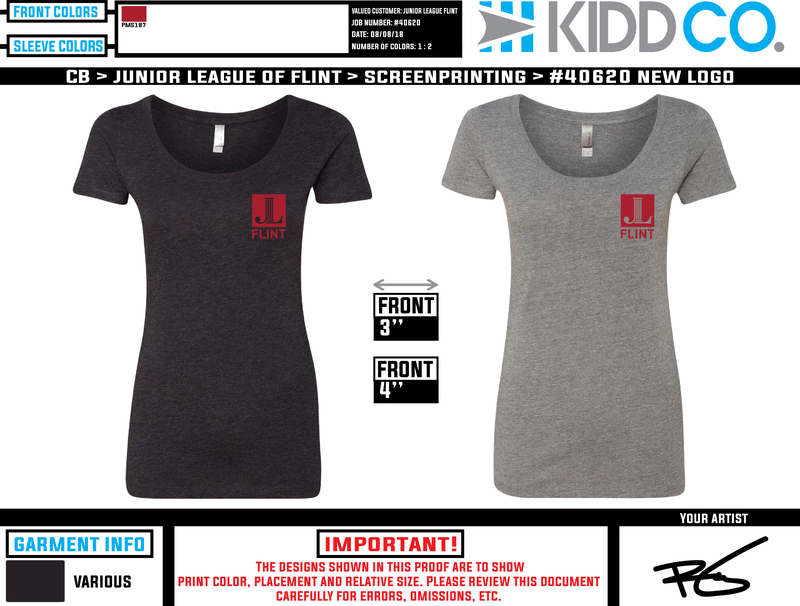 If you would prefer to pay with check or cash, or have any questions, please email office@JLFlint.com with your style and size.